History has been made at the United Nations Economic Commission for Africa (UNECA), with the appointment of Dr. Vera Songwe, a Cameroonian citizen, as the Executive Secretary of the Addis Ababa-based Think Tank. Dr. Songwe becomes the first woman to head the very important UN organization in Africa. Dr. Songwe’s appointment by the UN Secretary-General, António Guterres, was announced Thursday, April 13, 2017. Dr. Songwe is taking over the reins of the organization at a very critical stage of the ECA, following the departure of the immediate past Executive-Secretary, Dr. Carlos Lopes who served from 2012 to 2016. The following men served as Executive Secretaries; the first was Mekki Abbas of Sudan, who served for two years, from 1959 to 1961. There was the Ghanaian, Robert Gardiner who served for 14 years, from 1961 to 1975. Prof. Adebayo Adedeji of Nigeria served for 16 years from 1975 to 1991, and then there was Issa Ben Yacine Diallo of Guinea-Conakry, who served for only a year from 1991 to 1992. The next after Diallo was Layashi Yaker from Algeria, who served for three years from 1992 to 1995. Then another Ghanaian, Kingsley Y. Amoako took charge of the ECA and served for 10 years from 1995 to 2005. Lopes, took over from the Gambian, Abdoulie Janneh, who was in office for seven years from 2005 to 2012. Before her appointment, Dr. Songwe has been since 2015, the Regional Director, Africa covering West and Central Africa for the International Finance Corporation. She is also Non-resident Senior Fellow, The Brookings Institute: Global Development and Africa Growth Initiative since 2011. She previously worked at the World Bank as Country Director for Senegal, Cape Verde, The Gambia, Guinea-Bissau and Mauritania from 2012 to 2015, Adviser to the Managing Director of the World Bank for Africa, Europe and Central Asia and South Asia Regions from 2008 to 2011 and Lead Country Sector Coordinator from 2005 to 2008. 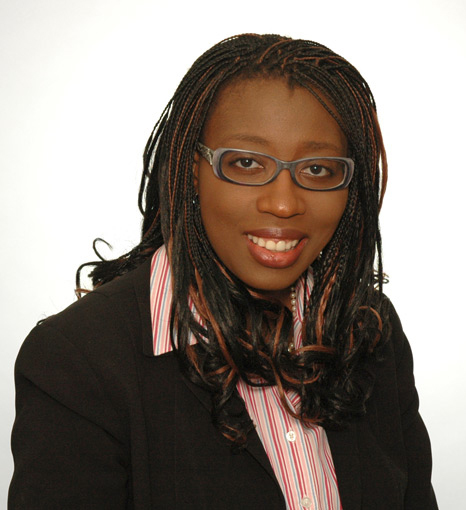 Dr. Songwe’s professional journey began when she joined the World Bank Group in 1998 as a Young Professional. She worked in the Middle East and North Africa region covering Morocco and Tunisia in the Poverty Reduction and Economic Management (PREM) unit. She later joined the East Asia and Pacific region, PREM unit where she played several roles including Regional PRSP Coordinator, and Country Sector Coordinator and Senior Economist for the Philippines. She has also worked in Cambodia and in Mongolia as Country Economist managing different World Bank programs and the economic and growth policy dialogue. Before joining the World Bank, Dr. Songwe was a Visiting Scholar at the University of Southern California and worked at the Federal Reserve Bank of Minneapolis, USA. She has published several articles on governance, fiscal policy, agriculture and commodity price volatility and trade and new financial infrastructure. Songwe holds a PhD. in Mathematical Economics from the Center for Operations Research & Econometrics from the Catholic University of Louvain-la-Neuve in Belgium. She studied for BA in Economics and a BA in Political Science from the University of Michigan, Ann Arbor.